The Magical Topaz of… Invisibility? For me, one of the most fascinating things about gemstones (aside from sheer gorgeousness) is the beliefs with which people have imbued gemstones through out the centuries. Yes, you read my title correctly, some people, like the Ancient Greeks actually attribute the topaz gemstone with the ability to impart invisibility. This probably stems from their ancient belief that topaz was said to be an aid to eye ailments. Presumably if topaz could heal eyes, it could hide you from prying eyes… right? Seems fairly reasonable, for ancient reasoning, actually. Sometimes used as an affordable alternative to diamonds, the name Topaz is coined from the Sanskrit word, tapas, for Fire, or possibly from the Greek word topazion or topazios. I like the idea that it could come from the word for fire… but then, I’m partial to my torch and my forge, and I may be a touch biased. 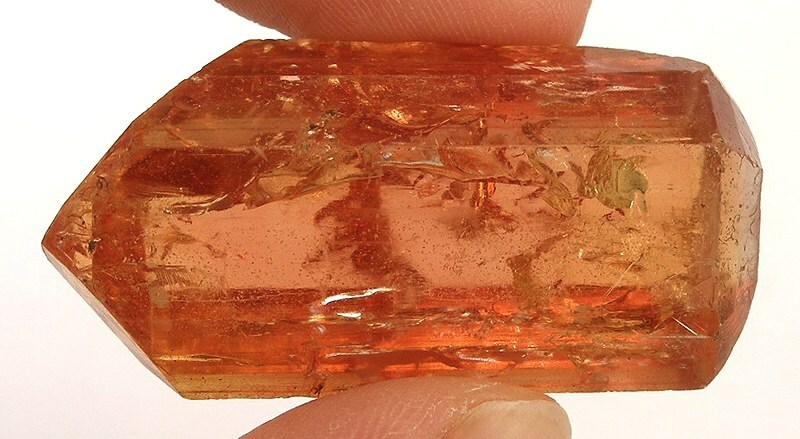 Other benefits believed to come from topaz include the imparting of wisdom, protection from poisons, fire, robbery, and assault. Topaz has been referenced multiple times in the Bible as part Aaron’s breastplate of judgement and as part of the foundation of the New Jerusalem in the book of Revelation. In modern times, Topaz comes in many different colors, and ranges from $9 to $1575 a carat. Blue Topaz is the Us state Texas’ gemstone. Naturally occurring blue topaz is quite rare. Typically colorless, gray or pale yellow and blue material is heat treated and irradiated to produce a more desired darker blue. Mystic Topaz Image by Michelle Jo -CC3. So the upshot of all that is that Topaz has a really long history in our world, is incredibly beautiful, and may or may not be enhanced in jewelry by artificial means. Other things to know about Topaz in jewelry is that while it has a hardness of 8 on the Mohs Scale, it fractures really easily. Banging or dropping topaz onto a hard surface like concrete can seriously damage the stone, so be careful with these lovely gems!